FRIDAY, Jan. 12, 2018 (HealthDay News) — States that expanded Medicaid under the Affordable Care Act (Obamacare) had fewer hospital closures, especially in rural areas, a new study finds. The researchers analyzed national data from the years before implementation of Medicaid expansion under Obamacare (2008-2012) and the years after it took effect (2015-2016). Hospitals in the 32 states that expanded Medicaid were about 84 percent less likely to close than hospitals in states that did not expand the government-funded insurance program for the poor or disabled, the study found. The findings are reported in the January issue of Health Affairs. The study was done by researchers at the Colorado School of Public Health at the University of Colorado Anschutz Medical Campus. “Access to health care is a fundamental element of our health care system,” study author Richard Lindrooth said in a university news release. “Our results suggest that if future policies are adopted that both eliminate the Medicaid expansion and lower health insurance coverage rates, we will see an increase in hospital closures, especially in rural areas,” he added. The impact of hospital closures varies, depending on how much local residents rely on the hospital, the researchers noted. The researchers also noted that nearly all hospital closures increase patient travel time, which can result in worse outcomes for those with conditions that require immediate treatment. 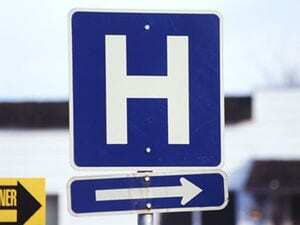 The U.S. Health Resources & Services Administration has more on hospital closures.